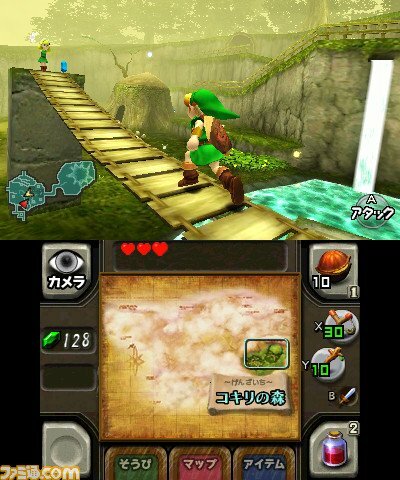 Japanese gaming mag Famitsu was able to get its hands on five screenshots from the 3DS remake of Legend of Zelda: Ocarina of Time. 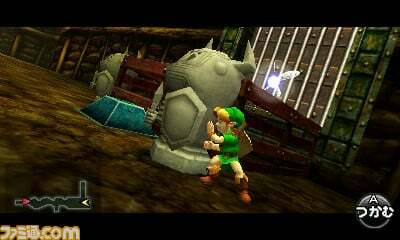 They show Link going through his daily routine: fighting monsters, traveling the countryside, and pushing statues. 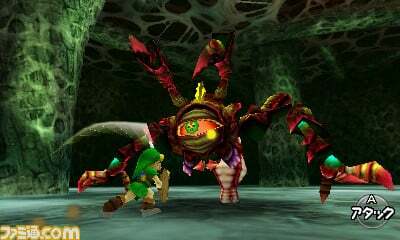 Ocarina was originally released for the Nintendo 64 back in 1998. It's considered not only one of the best games for that system but also one of the best games of all time. 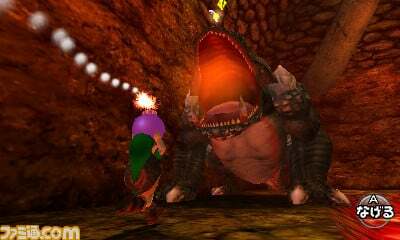 It's been re-released for GameCube and the Wii's Virtual Console so it's no shock Nintendo would port it to the 3DS as well. 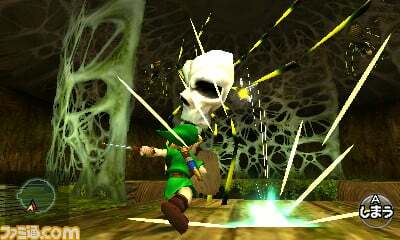 The 3DS Ocarina is playable at the Nintendo World event going on now in Tokyo. Presumably this means it's almost complete but no release date has been announced yet.